TEL AVIV (Reuters) - U.S. electric car company Tesla Inc said on Tuesday that Chief Executive Elon Musk, who was visiting Israel, did not discuss a collaboration with artificial intelligence firm Cortica. 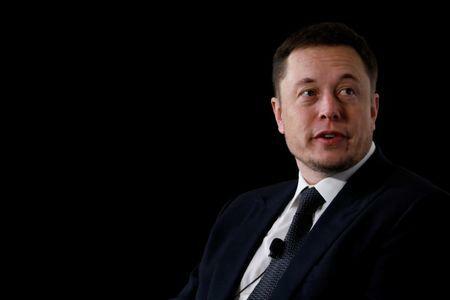 "The reports that Musk was in Israel to discuss a collaboration between Tesla and Cortica are completely false, he was in Israel, but not to meet or have discussions with Cortica," said a Tesla spokesman based in Palo Alto, Ca. Cortica has raised nearly $70 million since it was founded in 2007. Investors include Hong Kong-based Horizons Ventures and Russia's Mail.ru Group , according to Start-Up National Central. Intel acquired Mobileye last year for $15.3 billion. Musk's visit to Israel was highlighted by several websites, including Globes, after he posted a video of himself on Instagram at a bar in Jerusalem.